The Face Plant began as Phil Jones’ product ideation. I was tasked with developing the packaging and art directing the product design. Development of the Face Plant called for clear direction to the factory to produce a minimal product full of character. 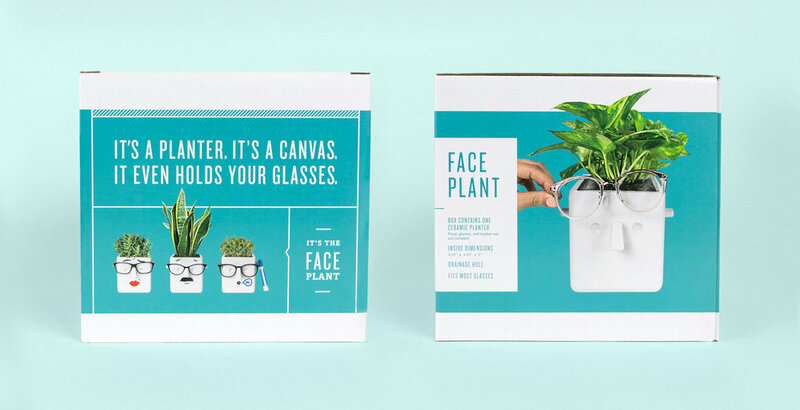 The fun yet refined vibe of the planter is mimicked on the packaging with clean type and color blocks. Informative and expressive photography conveys the multi-use nature of this product in a concise way. The viewer is lead to each side of the box as the graphics wrap around in a continuous design. This invites exploration of each panel while informing the viewer of the product’s various uses.